Have you seen the monumental list of contemporary fiction coming out this fall season? New novels by Zadie Smith, Ian McEwan, John Banville, Michael Chabon, Junot Diaz, Salman Rushdie, and so much more. It's really exciting, and frankly I'm worried I won't have enough shelf space to handle all these new novels. But, instead of featuring a big list of new books, I'd like to tip you off on a handful of limited editions that will be released in the next couple months. If I had the money, I'd get on the waiting lists for all of these. Considering the many editions of Gaiman's Stardust that are already out there, this seems a bit like a cash-grab. 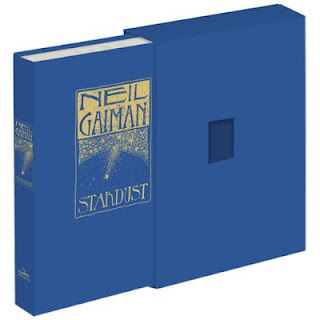 However, Gaiman's limited edition novels tend to move really quickly onto the collector's market--I dare you to try to find a copy of The Graveyard Book limited edition that Bloomsbury put out in 2008 for under $150 now. That was limited to 1,000 copies and was widely available for purchase when it first came out--I've been trying to get my hands on a copy (or, even better, the Subterranean edition) for a decent price for a while now and have had very little luck. Danielewski, author of cult favorites House of Leaves and Only Revolutions will publish what I understand to be an expanded edition of 2005's limited edition of the same name. Originally published by a small Dutch press, The Fifty-Year Sword will be released with Pantheon this October. Danielewski's following makes him an extremely collectible author--I'm very proud of my signed "2nd edition" of House of Leaves--and a limited edition of The Fifty-Year Sword should be met with great fanfare. 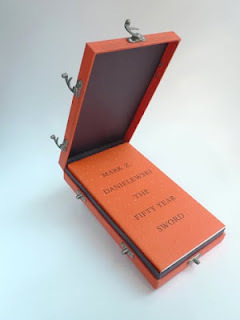 Details were announced on the Pantheon website: "The collector’s edition of Mark Z. Danielewski’s The Fifty Year Sword features a deluxe slipcase with five metal latches, Nepalese binding (an exposed, specially stitched spine), and a signed frontispiece. Limited to 1,000 copies." Get your order in (with a steep discount) now on amazon. I don't even know if this is still available: this is a signed, limited edition of Ian McEwan's new novel Sweet Tooth, printed in conjunction with the London Review Bookshop (Sweet Tooth will be published in the states this November). 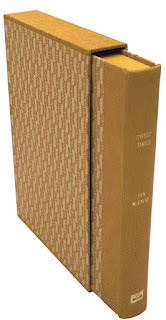 The edition will be only 100 copies, seventy-five of which will be quarter-bound in a wonderful yellowish leather. The book will be housed in a patterned slipcase and feature colored edges. These will be numbered 1-75, and an edition run of twenty-five roman-numeraled books will be bound in full leather, numbered i-xxv. The book is currently available at an early pre-order price, which will go up 30 GBP at the end of the month. The edition of 75 will cost you 150GBP, whereas the the 25 full-leather copies will start at 260GBP. An absolutely gorgeous book. The order page on ianmcewan.com says to email Claire Williams with all enquiries at cwilliams@lrbshop.co.uk. 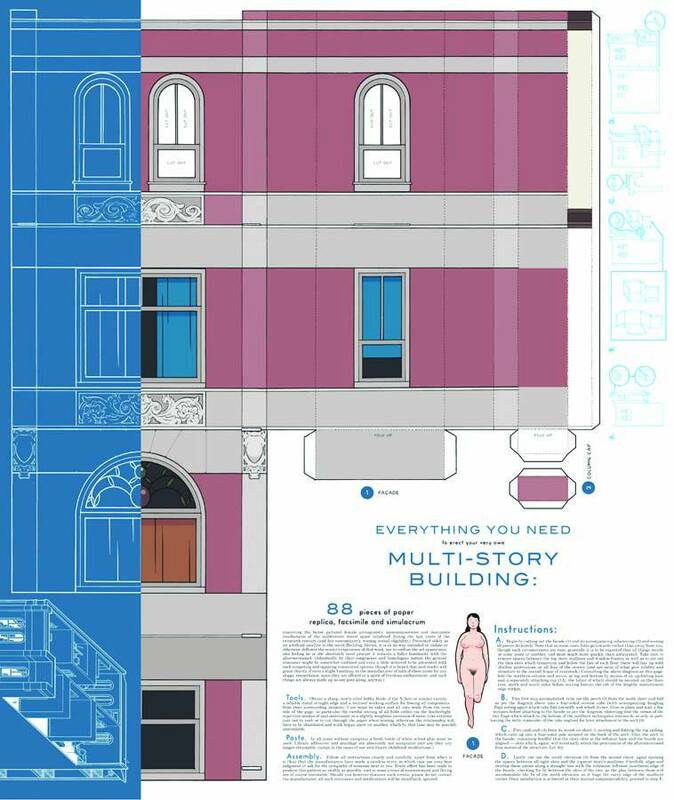 Chris Ware's Building Stories will be published in October--I can't wait to see how this comes out. The book is essentially a boxed set of many smaller bound comics--I don't think there will be any "instructions", so readers will be able to create their own path through Ware's beautiful, heartbreaking tales. 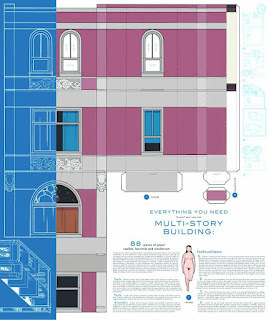 In addition to this, Ware will be releasing (through Drawn and Quarterly) an $80.00 portfolio of supplemental prints called Multi-Story Building Model. From what I can tell, Ware intends for these prints to be cut down to various shapes, that when folded, will create a 3-dimensional structure. This will be signed and numbered and limited to 1,000 copies. Keep any eye on the Drawn & Quarterly website to place your pre-order.